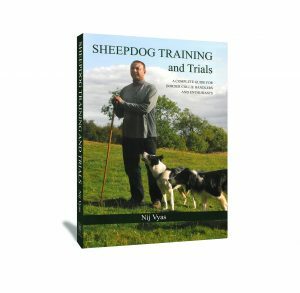 I offer both group and one-to-one sheepdog training course for farm work, sheepdog trials or simply just fun. Occasionally handlers of similar abilities will be paired and sessions combined. 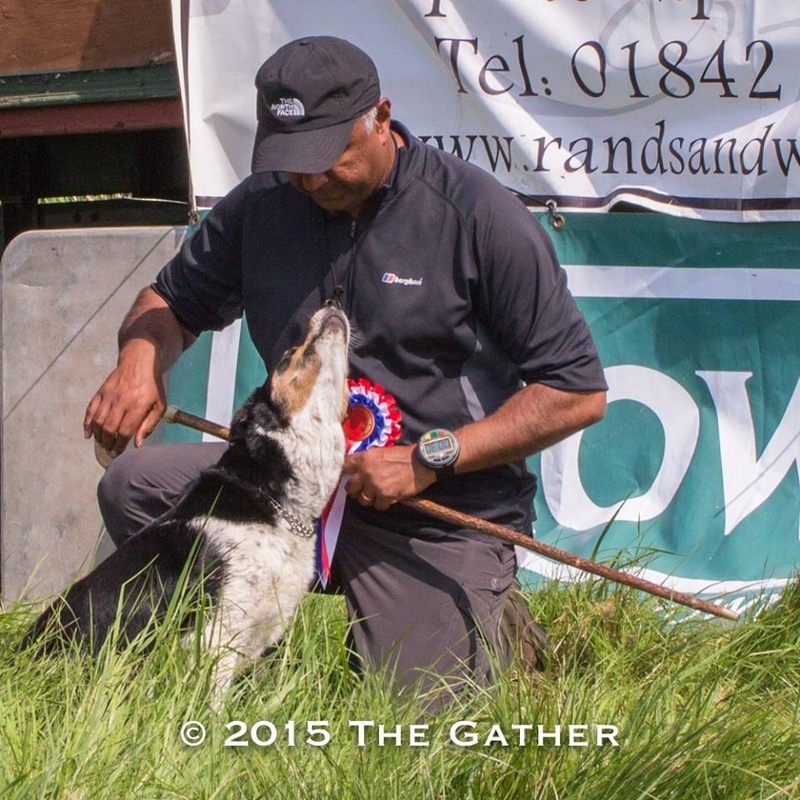 Sheepdog training is a great way to ensure your dog stays fit, builds up stamina and is in peak condition. We also offer video consultations whereby if you are having problems or training issues you can send us a link to videos on YouTube/facebook and we will provide a written report of how to address the problem. To book and pay please follow the links at the bottom of this page. 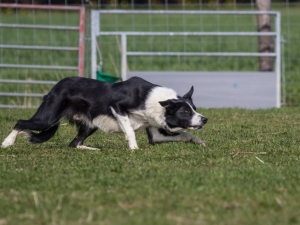 Our sheepdog training courses are very popular and dates should be booked quickly and in advance. Traditionally dogs are not mature enough or quick enough to start working until 6-12 months of age. 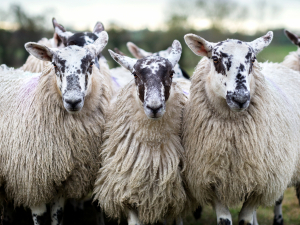 But in preparation for sheep work, early obedience training can start as early as 10-12 weeks as long as it’s informal and short, about 2-3 minutes. The aim is not to achieve control but trust and the methods I employ to achieve this. 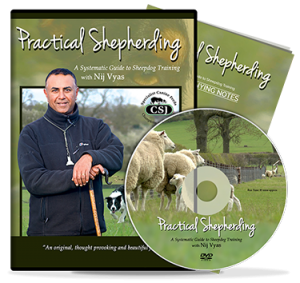 Watching my DVD “Practical Shepherding” will help guide you in the right direction. I like the first session to be around 4-5 months or as soon as the pup starts showing an interest in sheep. Utmost care is taken not to put undue pressure and to harness trust in the handler. You will achieve a stop and reliable recall this way. If you wait until your pup is older this is fine, however, if the trust has been sacrificed then we will have to spend more time undoing the mistakes. I like frequent sessions to start with so handlers are confident about what they have to do. The same applies to older dogs as it takes time to make an accurate assessment of your dog’s style of work and specific needs. If your sessions are spaced apart you may well forget elements and practice the wrong things. This is a false economy. If I feel you need more time to practice or am confident you have enough to work on then I will recommend the sessions are spaced apart further. Sessions can be paid for individually or as a block of 4. The time allowed per session is 1 1/2 hours which is ample time for the dog to work and for us to discuss the various elements and theories of training. If you are a farmer but don’t have your own sheep but have access to sheep please opt for the fun session pricing. If in doubt please phone to discuss. Please email us with details of how many days training are required, and how many sessions per day. Also please indicate whether Bed and Breakfast accommodation is required. If clients are late I cannot stretch the lessons as other clients will expect to run on time. Prior to booking a session, you must read the Terms and conditions. You should also ensure the booking form is completed. Payment is required either 7 days in advance or at the session. The payment link takes you to Paypal Payment but you do not need to register for this. It is possible to pay by credit or debit card. Delayed payments will have an additional 10% added if this is a regular occurrence. The way I teach all the elements are connected and there is an emphasis on building good foundations. If the foundations are wrong the more advanced elements will be harder to achieve or perfect. I use a large training pen and both basic and advanced elements can be taught in one. I view the training pen as a diagnostic tool. In each given situation I have an expectation of how and what should happen. This dictates the type of training we do. As a rule, I teach the dogs to balance or circle with handlers moving in the same direction as the dog. I also teach the counterbalance. I believe a dog should be armed with all the tools, not just a few. This way more tasks can be achieved or success can be achieved in differing trials and course sizes. Only once the fetch is satisfactory with good pace do I recommend teaching dogs to drive. Experienced handlers can, of course, do any element at any time as they will know when to return to basic exercises. We have a large circular training pen at Tilton where the bulk of the training will take place. Once your dog progresses the training may be held at John O Gaunt. 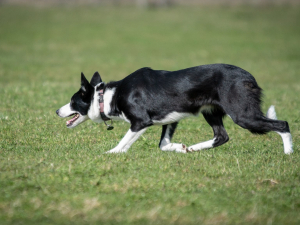 For advanced dogs competing in trials training will take place at either Tilton on a 20 acre field or at Launde where there are a variety of large fields ranging from 26-60 acres. AVailability at Launde scan be limited. I am available to offer demonstrations and give talks to students on farming courses in order to quell and myths about Border Collies and to inform them about their value and place in modern day farming. Herding sheep with a collie dog is the most efficient and economical way of managing sheep yet this tradition is dying out. The vast majority of people tell me they don’t want to compete in sheepdog trials. Trialling merely simulates the tasks farmers have to do at home on the farm. The better the standard the quicker and more efficiently you will achieve every task. To say you do not want to trial is to admit that you are happy to take twice or three times as long to complete a task. Prior to purchasing your dog, you should purchase a quality Logan whistle. Whistles are easier on the ear, sharper through the air and less tiring. Voice commands are fine but if you shout to make your dog hear, you may well compromise trust. Your dog will not know why you are shouting. It is best to adopt a quiet, soft-spoken voice command. Avoid telling your pup what to do. Rather confirm what it does well. Remember your pup does not speak English. Read and watch as much as you can, bearing in mind not everything will be appropriate for your dog. 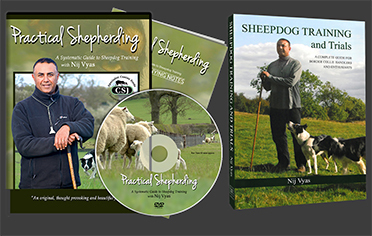 My boo “Sheepdog training and Trials” and DVD, “Practical Shepherding” will give you a good start in selecting the right dog and building good foundations. Remember sticks and bags, commonly seen being used in training, are not instruments of torture. They are a visual aid. Practice and learn to whistle. Shared sessions will be priced the same as the individual. They aren’t routine, but if we feel you will benefit from working with another handler then you will be paired up. Watching others will benefit you greatly. Clients are requested to practice daily. this does not need to be for very long and in fact with young puppies, even two there minutes is plenty. By working more frequently your dogs will learn to switch off and come to trust that they will soon return again to the sheep. Once trained it is important to work your dogs daily rather than only using them when you have some work to do. 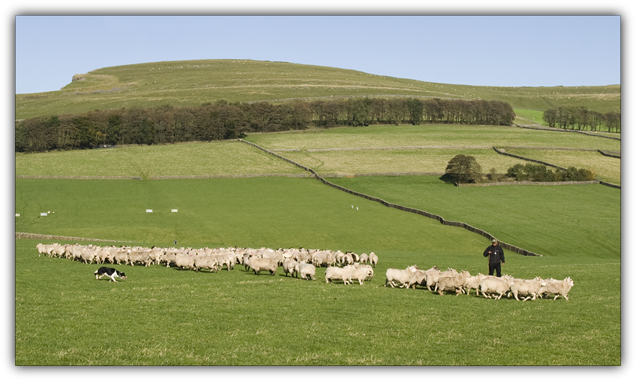 Even a daily gather when checking sheep will be of great mutual benefit as you will soon come to realise if a ewe or lamb is below par or lame sand requiring treatment. By passing the sheep between the handler and dog counting them will also be easier. I have a book and dvd available for sale which will act as a guide throughout the training process. Ideally new clients will have read/watched these and be familiar with some of the concepts. This in turn will save you money as fewer sessions will be required and spent covering the same topics. Ideally clients will train their dogs daily, keeping sessions short up to 5 minutes for very young dogs and up to 10 minutes for older more mature dogs. The number of training sessions you need per day will depend on individual dogs and what you are trying to achieve.